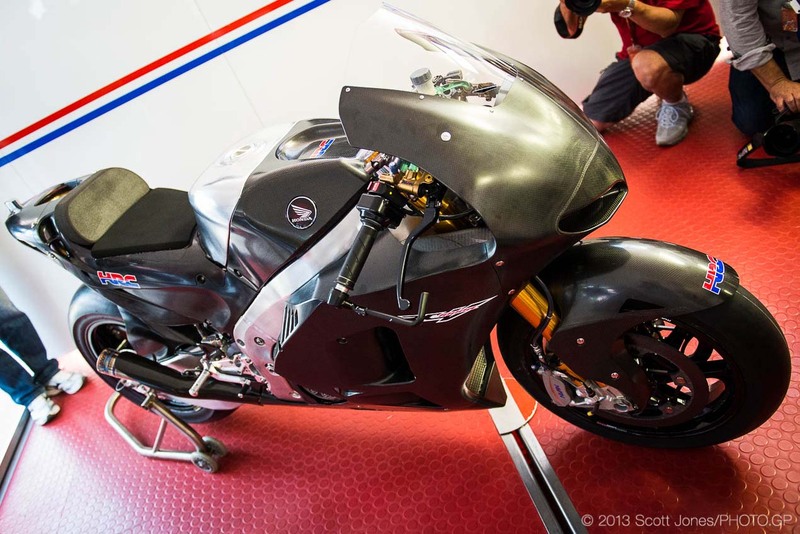 On Monday, the new Honda RCV1000R production racer from HRC will take to the Circuit Ricardo Tormo in Valencia, Spain for its first public testing session. 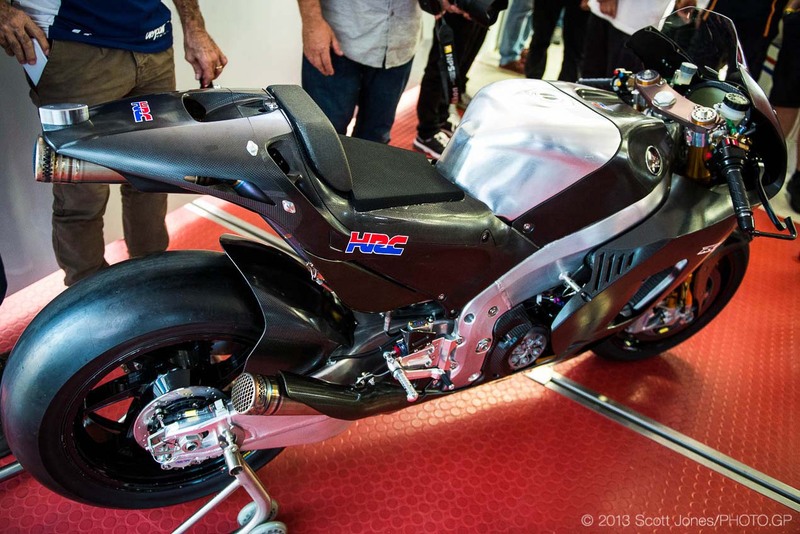 HRC couldn’t wait to show off its machine though, and held a press conference today at the Valencian GP for the MotoGP press pool. 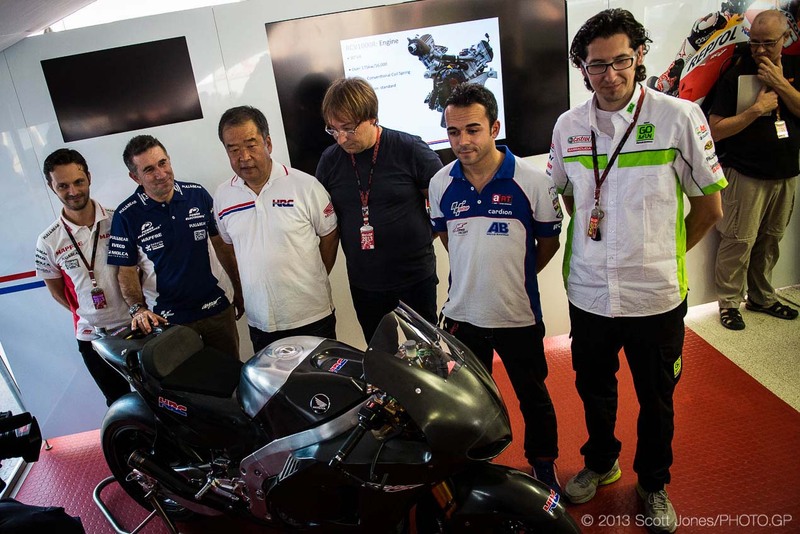 Based closely off the Honda RC213V that Dani Pedrosa, Marc Marquez, Stefan Bradl, and Alvaro Bautista are racing with this season, the Honda RCV1000R will fit under the “Open Class” set of rules, and be campaigned by Nicky Hayden, Scott Redding, and Karel Abraham, with further riders expected to be added to that list. 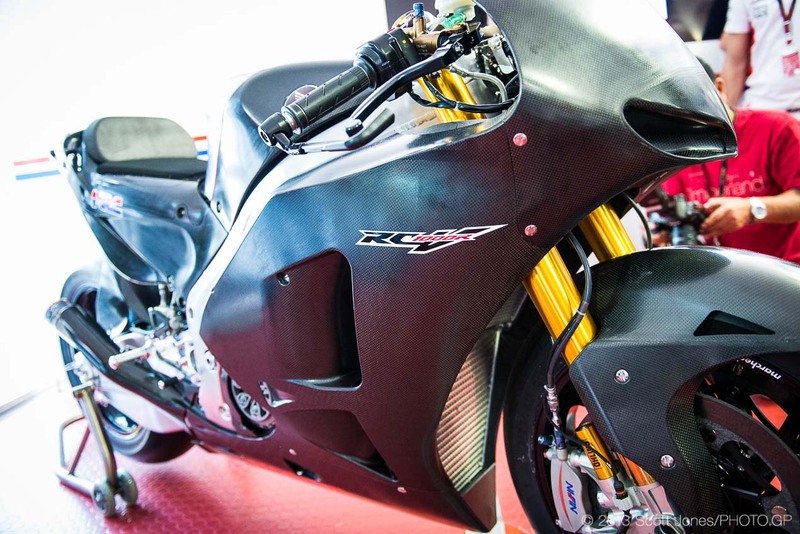 Using a 999.5cc 90° V4 engine, just like the RC213V, the RCV1000R features the same firing order as the factory bike, as well as the same chassis geometry. 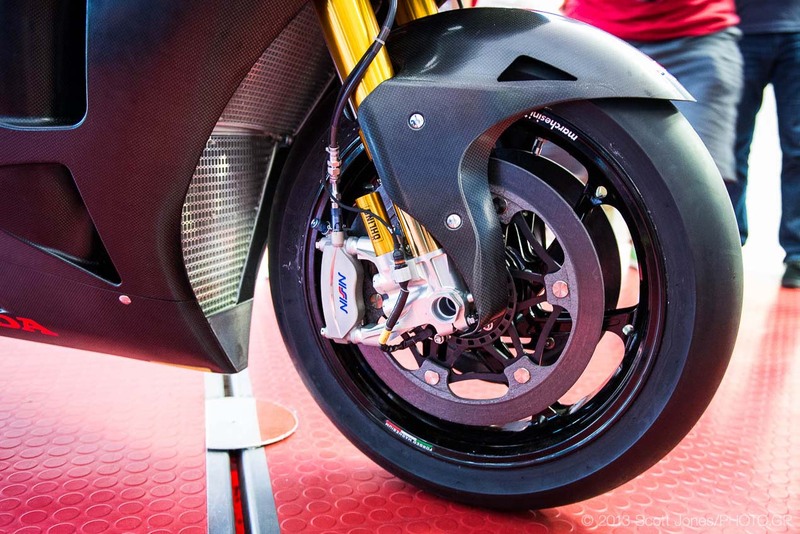 However, there are some crucial differences in technical specification, as the Honda RCV1000R uses conventional steel valve springs, instead of the Honda RC213V’s pneumatic valve springs; and a conventional gearbox, instead of the factory bike’s seamless gearbox design. 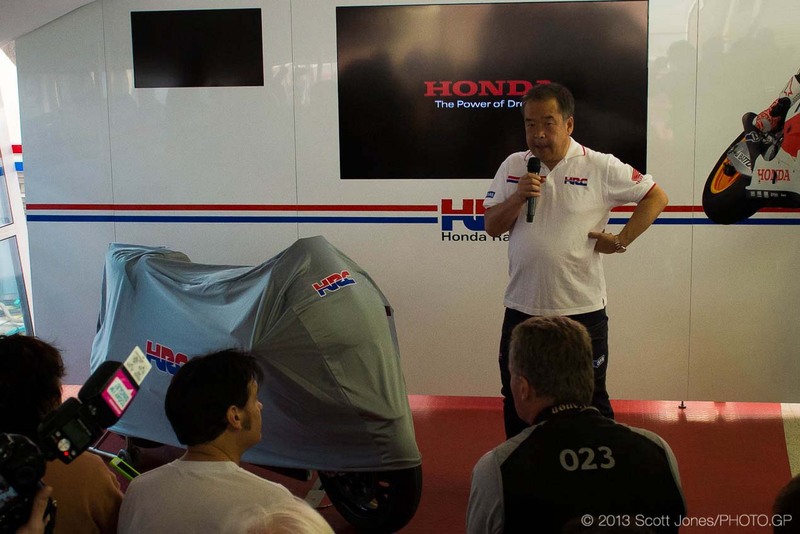 Both these technologies were deemed to be too costly to offer on the Open Class machine, says Honda. 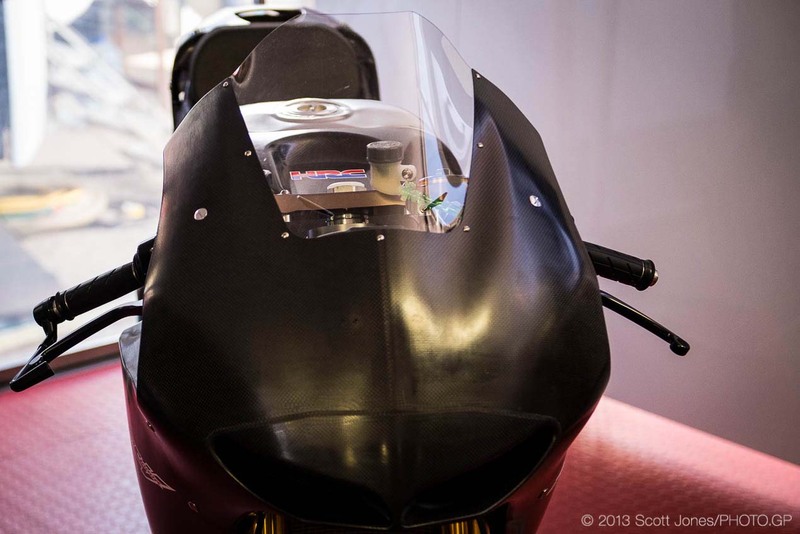 In the hands of Casey Stoner, and on the same Bridgestone tires, the RCV1000R was 0.3 seconds slower than the factory bike, but that gap was cut in half once HRC fitted the softer-spec tires destined for the Open Class machines next year. 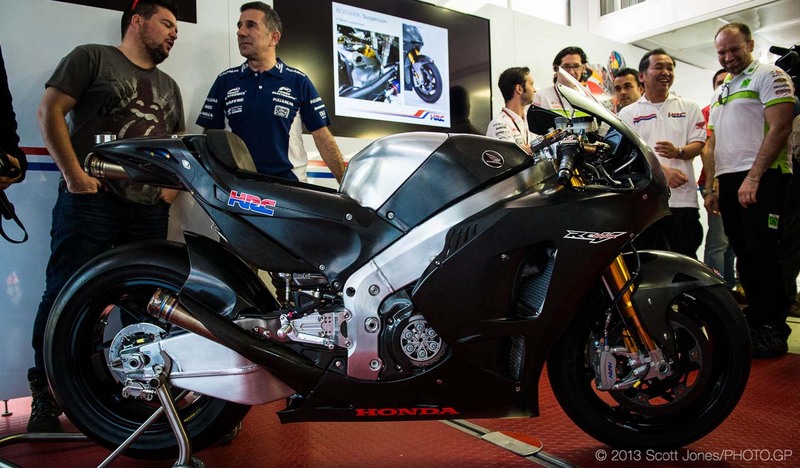 Per the Open Class rules, the 2014 Honda RCV1000R will also use the spec-ECU hardware and software from by Magneti Marelli, but will get to use an extra four liters of fuel compare to the factory machines.